I pre-ordered this game many months ago. Because of how great the Ultimate Alliance games were, and considering how much I enjoy the subject matter, I figured that this would be one of those labors of loves that some developers do when they don't have to tie it around a movie. Well, it turns out I was wrong. This was one of those "We need to make a game that uses the X-Men" games. The combat is so boring and repetitive (and considering that is ALL you do) that you really don't want to take the time nece..
G. Hobson (Tooele, Utah ..
Good concept, but ultimately falls flat with Silicon Knights, Se.. The game is just as linear as FFXIII, sending you from battlefield to battlefield with no breaks or chance to explore and rest, with no open-world exploration at any point to make it feel justified. 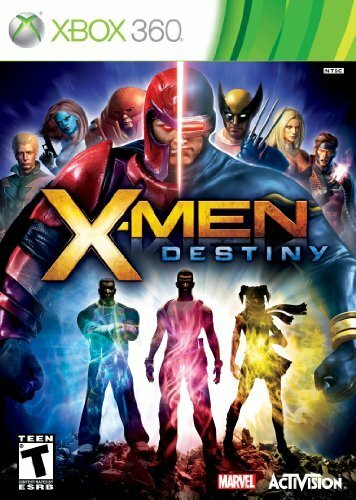 The game is running from one area to the next, looking for collectible X-Genes and Dossiers, defeating weak enemies, while all the real story happens between the X-Men and the Brotherhood through cutscenes.By the end of the game's story, maybe 3 or 4 days have passed. Your character receives their powers for the.. Rented this out because I am an X-Men Fan.Thank God I rented.The cut scenes are not really good but just for that they make them extra long.The models are very very last gen.The decisions you make have less meaning because both sides still talk to you and move you forward.Very straight path that you must travel. Unoriginal level design.And the worst insult I can give a game:It's really boring. Conan I. Whalen Mckain (..